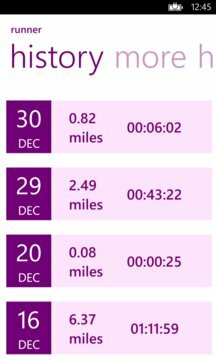 Take Runner with you to track your running performance (speed, distance, calories burned, ...). 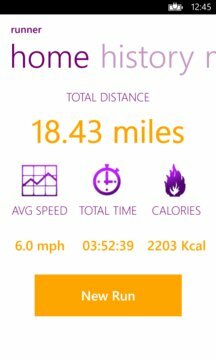 Runner uses the GPS feature of your Windows Phone 7 to measure your distance, average speed and calories burned. Runner records the track of your route on a map, available at any time. Runner keeps track of your activities to make it available to you where you want, whenever you want.